First impressions are generally correct. This could be a likable excursion down a well trod path, however, I found it pretty much impossible to listen to this CD all the way through. This LA band is a trio of vocals/k+b/d, with additional keyboards, sound familiar? Ring of Myth deliver a solid performance. The members are good players, their skills adequate for a young band trying to carve out a sound. You know what bands these guys have listened to, I have no problems with that. I can imagine it's quite hard to create something new. Influences aside, a lineup like this has a hard time sounding fresh. There is a nice track on this album, a T Dream foray into synthdom ala Force Majeure, it is an instrumental, oddly it is penned and performed by the drummer. Which brings us to the problem, the vocals are so bad I could not endure them. Do you sing in the car? Have you ever heard Druid? Now, sing Druid's Voices in the car. You sound better. This is easily the worst vocal performance I have ever heard. I cannot imagine being in this band and saying "Yeah, he's cool." 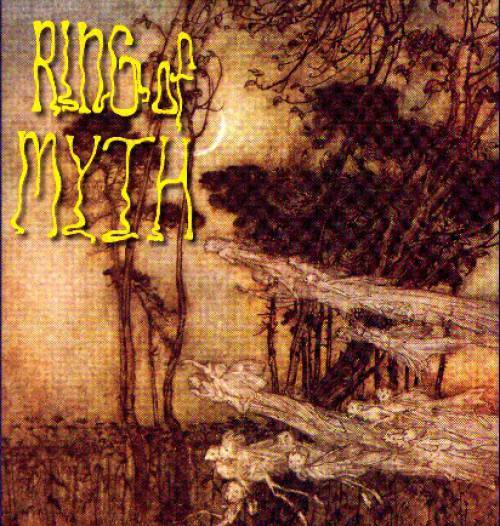 With a different singer or no vocals at all Ring of Myth might be interesting, or at least tolerable. As it is Ring of Myth comes off as another Rush/Yes hybrid that brings nothing new to the table.